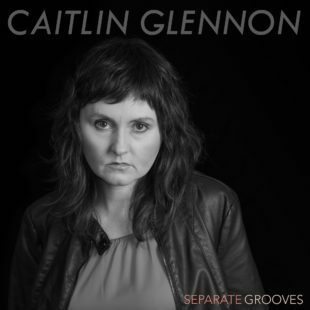 Berkeley, California’s acclaimed singer/songwriter Caitlin Glennon has managed to roll quite a bit of her magical music making skills into a brand new twelve track LP, titled Separate Grooves. The album itself takes us through a genre-bending mass of twists and turns, focusing largely on pop rock and bringing with it slow, simmering ballads that stick with you. While songs like “Miss Invisible” and “Wanting In” portray struggles with deep, existential thoughts, gems like “TSA Patdown” address very real issues in a blunt and, at first, strikingly funny way. While there are those of us at IMPOSE who are particularly partial to “Young, Sassy & Drunk” (“I wanna stay young, sassy & drunk”), we can’t stop playing “Working For You”, not only for its incredibly catchy beat and quirky narrative, but because of the interesting visuals displayed in the music video. While Glennon’s voice has a largely punk rock vibe to it, with her honest a thoughtful lyrics, this album includes something on it for everyone. Separate Grooves is available now.